Wembley Windows is a family run business committed to offering a high quality service. The company’s proven track record of recommendations throughout the years has enabled us to become one of London’s leading suppliers and window installers in North London. 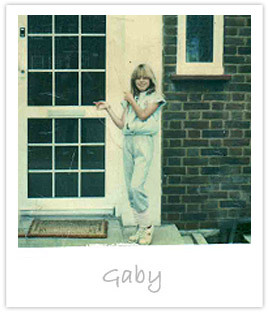 Established by Ori Fogel in 1984 and now run by his daughter Gaby, Wembley Windows is a supply and installations company. Originally based in Wembley, the company moved in 1994 to larger premises in Staples Corner enabling the company to offer a wider range of products. We pride ourselves on offering a reliable and efficient service, good quality products and a high standard installation with a full back-up service. All of our work comes with a 10-year insurance backed guarantee and Fensa certifications. Our products are sold direct to trade customers from our showroom, by telephone orders of by site visits. We provide a high level of individual service and encourage our customers to visit our showroom to view the variety of products we have on offer. Our experienced design consultants work flexible hours to coincide with our clients’ schedules including weekends. Their extensive knowledge of our industry and product range, together with sample products and portfolios of our work, will assist you to choose your individual glazing requirements from the comfort of your own home. If you’re looking for upvc windows, doors or conservatories in London, you won’t find better than Wembley Windows. The excellent team consisting of office staff, installations managers, qualified surveyors, experienced fabricators and highly skilled installers have been with Wembley Windows for many years. A friendly and helpful approach is guaranteed. Our showroom is open Monday – Friday between 9am-5.30pm.